UNEXPECTED BREAK. IT HAPPENS MORE OFTEN THAN YOU’D THINK. Advertised imagery may differ from product. Contact your local dealer for further details. *Normal lending criteria and conditions apply. While stocks last. Valid until 30/4/19. † Monthly payments for Kioti based on 40% plus total GST deposit and/or use trade-in, then 60 monthly payments at 3.99%. Westland Milk chief executive Toni Brandish. numbers since the start of the response,” it says. “A farm is only designated an infected place if it has returned a DNA sequenced polymerase chain reaction (PCR) test result. Infected places are a subset of restricted places and all restricted places are considered to have Mycoplasma bovis.” According to MPI’s latest update, only 31 properties are still infected with Mycoplasma bovis. Of the 31 IPs, 28 are in the South Island and three in the North Island -- 14 dairy farms and 17 beef farms. A total of 72 properties remain under restricted place notice; these include all infected farms and those suspected of having M. bovis. Properties under notice of direction total 145; taking animals from these farms is considered risky. A total of 449 properties remain under active surveillance. 2.95% KingQuad 750XPZL9 shown with alloy wheels. A NEW KING HAS ARRIVED The all new 2019 KingQuad 750 has arrived and is ready to work. Josef Glacier. Flooding washed through a major hotel in Franz Josef three years ago almost to the day, and the Westland District Council responded to that by controversially using emergency powers to build a rock wall stop bank. Langford noted that the council had been criticised for that, “but it protected the place”. Langford farms in the Buller District, at the northern end of the province. He said last Wednesday morning that he had yet to see the band of heavy rain as it moved northwards, but was waiting for the Westland Milk tanker which was evidently running late. However, Langford expected that West Coast farmers – apart from dairy with their perishable product – would not be too badly affected by the weather bomb. He’d spoken with a farmer at Whataroa who at that stage had recorded 187mm, but told him “you can’t see where it’s been”. “They’ll be a bit damp, but they take it in their stride. Most of them are lucky enough to have dry ground somewhere,” Langford said. Rotterdam in Holland and Antwerp in Belgium.” Petersen believes any changes brought about by Brexit are unlikely to result in more NZ staff being employed by exporters to Europe. over 20 pocket meetings with farmer shareholders on the West Coast and in Christchurch. Morrison says more meeting are planned in coming months; farmer shareholders will vote on the deal at a special general meeting early July. “The board believes this is a very good deal; farmers will now think about it and then vote on the deal,” he told Rural News. Monaghan says it had “a very early discussion with Westland about finding a co-op solution to the position they found themselves in”. “We weren’t able to progress and they went into another process.” Monaghan expressed sadness at the “demise of another co-op” and said Fonterra would welcome any Westland suppliers willing to continue supplying milk to a co-op. Strictly limited stock, only available while stocks last. DESIGNED TO SOW CROPS SUCH AS WHEAT AND CLOVER, PEAS OR CANOLA INTO CULTIVATED SOILS OR MAIZE STUBBLE. BUILT IN NEW ZEALAND, SEEDMATIC TINE DRILLS OFFER EXCELLENT PENETRATION OF EXISTING PASTURES HARD & ROCKY AS WELL AS CULTIVATED SOILS. A SIGNIFICANT win for agriculture- and sciencebased theory on climate change is how the Parliamentary Commissioner for the Environment’s (PCE) latest report is being described. But Climate Change Minister James Shaw is digging his toes in. Commissioner Simon Upton’s new report suggests that forestry carbon sinks should only be used for offsetting biological emissions like methane. Carbon emissions from, for instance, fossil fuels should be brought to zero by other means. This would demand a major rethink of the proposed ETS ‘reforms’ which allow forestry credits to be traded to offset all emissions. Simon Upton, Parliamentary Commissioner for the Environment. Climate Change minister James Shaw. the impact of biological gases on global warming is continuing to develop. This is why the implications of any policy decisions for dealing with these gases needs to be carefully considered. But it is clear that total emissions must reduce.” Many scientists have recently supported the setting of a separate methane target in the Zero Carbon Bill, to reduce and stabilise methane while carbon dioxide and nitrous oxide reduce to net zero. This is aligned with work by the Productivity Commission, research by Dr Andy Reisinger of the NZ Greenhouse Gas Research Centre, and most recently by Professor Myles Allan, of Oxford University, a member of the Intergovernmental Panel on Climate Change (IPCC). WE’RE BUILT FOR LOADS ON BEHIND AND LOADS OFF UP FRONT. We’re built for New Zealand. For dry dusty days, torrential rains and howling blizzards. For endless forests, flooded river plains and grassy paddocks. For steep hills, treacherous rocks and deep muddy creeks. For carrying, hauling, mustering, fencing or any other job you can think of. And we’re also built for great deals up front. So visit your nearest dealer and see how a Can-Am Outlander is built for you. © 2018 Bombardier Recreational Products Inc. (BRP). All rights reserved. ®, ™ and the BRP logo are trademarks of BRP or its affiliates. Always ride responsibly and safely. Always wear protective gear & approved helmet. BRP reserves the right to change the promotion at any time. Milk prices are lifting on lower world supply and continued strong demand. some large milk producing regions. Australia’s milk production is forecast to be down 7-9% on last season due to drought; in the EU, growth has slowed and is forecast to be less than 1% on last year. Hurrell says for Fonterra farmers the strong dry weather has also impacted milk production. The co-op two weeks ago downgraded its milk forecast for the season from 1530 million kgMS to 1510 million kgMS for 2018-19. This is slightly above last season’s collections of 1505 million kgMS, a season also impacted by poor onfarm conditions. Keep your stock in peak condition this season with Boehringer Ingelheim products and you can keep the troops happy with an Esky 30 can cooler, or Coleman Thermos*...What you put in them is up to you! *Ride away prices quoted exclude GST. Total cost for CFMoto X400 EPS LE is $8530.41 paid via three equal instalments of $2843.47. Total cost for CFMoto X500 EPS Farm Spec is $10,305.15 paid via three equal instalments of $3,435.05. Total cost for CFMoto U550 EPS Farm Spec is $15,637.47 paid via three equal instalments of $5,212.49. The initial instalment is in the form of a deposit at time of purchase. The second instalment is payable after 12 months where the third (final) instalment is payable after 24 months. These totals equate to the cash price including GST plus a $235.60 application/ documentation fee and $10.00 PPSR Lodgement (Total charges of $245.60) plus interest costs calculated at a rate of 2.99% per annum. Normal lending criteria apply. Offer ends 30th April 2019.
strong profits flowed back to the growers who own the company. EastPack says it paid out $7.9m to transactor shareholders during the year, and investor shareholders also received a fully imputed dividend of 9.36 c/share, up from 5.04c/share in 2017. RIVER CRUISE AMSTERDAM TO BUDAPEST 15 days/14 nights river cruising, food & wine, history, culture & the arts. From $10,995pp share twin window suite, departs 29 May 2020. Exclusive additional benefits: stylish trolley bag, 30% discount off travel insurance, complimentary champagne in your suite on arrival. Book by 30 April 2019. Other dates/prices/inclusions available. All-inclusive. All taken care of. So you can Live Fully. Or one of our Mobile Travel Managers (see our website for contact details). CONDITIONS: Fly free promotion ends 30 Apr 2019 unless sold out prior. Package subject to availability and currency fluctuations. Amendment, cancellation & credit card fees apply. Full conditions are available on our websites. EastPack chairman John Loughlin says 2018 was a record year for the company, with growers experiencing a great return and EastPack delivering high quality service and a robust financial performance on all sites. “EastPack always has growers at heart, so we’re delighted to be able to celebrate a record year of growth in both production and revenues,” says Loughlin. a very dry summer “which means we’re expecting great tasting fruit this season”. ® NEW ZEALAND’S ONLY RAIN READY COMBINATION POUR-ON When you are the BOSS, you need to be on top of your game. You need to know a trick or two that the rest can’t match. And unlike other combination pour-on’s rain falling shortly before or after treatment won’t affect efficacy(1). That is why BOSS Pour-On is designed using our unique “liquid-gel” formulation to stop run-off and improve absorption. It really works. PRACTICE Alleva Animal Health Limited, 1/116a Harris Road, East Tamaki, Auckland. BOSS® is a registered trademark of Alleva Animal Health Ltd. Registered pursuant to the ACVM Act 1997 No. A010817. See www.foodsafety.govt.nz for registration conditions. (1) BOSS label claim. Drill kit supplied may differ from the advertised image. Hort NZ chair Mike Chapman. through to get your storage in place and as a country the one thing we have lots of is water. ing as a means of first feeding NZ.” Chapman says we need to emphasise the message of feeding NZ. “We export a lot of our fruit -- about two thirds -but we don’t export many vegetables. “We grow for NZ and we need to have land and water to grow for NZ. “It is interesting that consumer trends are really going across to more fruit and vegetable eating.” Chapman says growers must persuade “urban NZ to eat a lot healthier, and to eat healthier they need to have good land and water storage”. DRY TO WET, TOUGH DROUGHT HAS had a profound effect on vegetable growing this year going into winter, says Horticulture NZ chief executive Mike Chapman. The glasshouse operations on the Waimea Plain have had to truck in water to survive, which is expensive, he told Rural News. “You obviously need a consistent supply of water for glasshouses. Because of the drought there weren’t as many NZ vegetables about so we have seen a bit of a downturn there. “The dry weather will help with fruit sweetness in apples and kiwifruit but now it is starting to rain while the harvest is on. “For vegetable supply in winter we need reasonable weather for the next few months to [compensate for rain during harvest] and get it working well. “We need those areas where there is drought to have some rain coming through, and those areas that are now getting rain for it not to be downpours. We don’t want to go from drought to flood.” Otherwise horticulture is travelling along well, he says, but may not be as strong as the Ministry for Primary Industries Situation and Outlook report suggests. The March update predicts horticulture revenue will grow 15.7% to $6.2 billion for the year ending June 2019. “It might not be as strong as they are suggesting because of the weather. But if we get a reasonable harvest for apples and kiwifruit things will work reasonably well in terms of that prediction,” Chapman says. We’ll make switching the power on easy. If you’re moving farm for the new season, don’t forget to pack Meridian. Our team of agribusiness specialists will ensure switching the power on at your new farm is stress-free. What’s more, we work with top rural supply companies, so you can simplify your power bill by paying through them. Just let us know if you’re planning to move and we’ll make it easy. *T&Cs apply. Please visit meridian.co.nz/movefarm to find out more. Visit meridian.co.nz/movefarm or give us a call on 0800 496 444. Feeble voter turnout in BLNZ elections VOTER TURNOUT was poor in the recent Beef + Lamb New Zealand farmer-director elections that resulted in a board member getting the boot and two new faces popping up. Nicky Hislop ousted sitting director Bill Wright in the Central Southland ward. A FORMER NZ Army chef and hospitality industry manager has been appointed as a labour coordinator for the NZ Kiwifruit Growers Association Inc (NZKGI). Gavin Stagg will begin work to ensure the industry has the workers it needs for the 2019 season. Stagg has worked in the kiwifruit industry since 2012, in operations management roles at Mount Pack and Cool Ltd and more recently Birchwood Packhouse Ltd in Tauranga, with a focus on health and safety. He has also worked as a recruitment consultant and employment officer, for 20 years managing and interacting with people from many countries and walks of life. In his new role, Stagg will manage seasonal recruitment initiatives with growers, contractors and packhouses. NZKGI chief executive Nikki Johnson says Stagg’s appointment is a key part of the organisation’s labour recruitment strategy. Valves aren’t new for Hansen. In fact Bert Hansen developed the first Hansen ballcock valve way back in the 1950’s because he couldn’t find a reliable valve for his home - and Hansen Products was born! Hansen continues to follow in that same tradition of reliability with our thoroughly modern range of Trough Valves. It contains 12.7% P, which all becomes available to plants. No non-RPR rock present. Rated in highest reactivity group in a world study conducted by the FAO (2004). Does not usually pass the Fertmark 30-minute test used only in NZ (due to dolomite). Passes all known longer-duration citric acid solubility tests used overseas. The Algerian RPR deposit consists of one deep (35m) layer, with a thin vein of dolomite in it. Equal agronomic performance to Gafsa (Tunisia) RPR, but much lower Cd (IFDC). Like all RPRs, it has a short crystal a-axis, and high substitution of phosphate by carbonate. Rigorously assessed by the IFDC in Alabama as a ‘Highly Reactive Phosphate Rock’. Low dust, and even this can be eliminated with only 3% ControlledMoisture (CM). Better or equal agronomic performance than North Carolina RPR (IFDC). Low Cd of 18ppm or 140mg Cd/kg P is only half NZ limit and passes BioGro. Has low levels of all other heavy metals such as uranium, mercury and chromium. Quinfert RPR/EG (eco-gypsum) 0.0 10.0 0.0 3.5 32 0.6 $289 Quinfert RPR/low S 0.0 12.3 0.0 4.0 34 0.7 $339 Quinfert RPR/med SB 0.0 11.7 0.0 8.4 33 0.65 $359 Quinfert RPR/hi SB 0.0 11.3 0.0 11.1 31 0.6 $377 SB is sulphur bentonite, containing 90% fine elemental S in water-dispersable miniprills. *BioGro certification is in process. Ask for ‘CM’ RPR (controlled moisture) to get zero dust.Specs will be reduced 3%. Quinfert QSR ‘N-vig’ low S 1.9 14.0 0.0 1.0 27 0.65 $454 Quinfert QSR ‘N-vig’ med S 1.7 12.7 0.0 9.0 25 0.6 $476 Quinfert QSR ‘N-boost’ med S 6.0 11.0 0.0 7.5 21 0.55 $458 Quinfert QSR ‘N-blast’ med-S 9.0 9.7 0.0 7.0 19 0.4 $464 Additional N in N-boost and N-blast comes from a combination of ONEsystem prilled urea and SOA. Other nutrients and all trace elements can be added to both the Quinfert RPR and Quinfert QSR ranges. The Quinfert Real Mitigation Action (RMA) range is designed to maximise healthy nitrate leaching and gaseous losses, and cation leaching caused by excess nitrate and sulphate levels. Quinfert RMA products are fine but very low dust. Their narrower ry to drains and streams. Best time to phone: ................................................... Best date/time to visit farm: .............................................................................................. Are you interested in coming to a talk by Dr Quin in your area? Are you interested in our Supporters’ Discount? are caused by the beetles pushing frass out of tunnels bored into the trees. Other symptoms include sap oozing from the tunnel entrances and branch dieback. He says officials are working with local authorities to identify the extent of the spread, including inspecting known host trees and placing lured traps around the detection sites. Biosecurity NZ has also directed the removal of infested oak trees at one of the sites. The beetle is native to tropical and subtropical East Asia. It has been found in Africa, US, Central America, Europe, some Pacific Islands and most recently in Queensland. Anyone who believes they have seen the granulate ambrosia beetle or any sign of frass on trees should take a photo and call Biosecurity NZ’s exotic pests and diseases hotline on 0800 80 99 66. NZ Avocados chief executive Jan Scoular. Challenge our coverage experts to get you better connected The future is exciting. Fully automatic bale packer system. One man operation to collect & pack conventional square bales in bundles of 8, 10, 12 or 14. Economical to run: Low tractor HP required. Beef+Lamb NZ marketing manager Nick Beeby. sumers. Meat companies signed up so far with the new brand includes The NZ Lamb Company (a JV between Alliance Group, Silver Fern Farms and Anzco), Atkins Ranch, Angus Pure and Coastal Lamb. SHEEP JETTER Sheep dipping... made easier! NOW! AutoStack XP and AutoStack FSX. Designed to efficiently and reliably handle large square bales or multipack bales. For nearly 80 years, MSD have been developing sheep vaccines for New Zealand farmers. We have a complete range of vaccines to help you improve flock performance – including vaccines that help protect against losses from Toxoplasma, Campylobacter, Salmonella, and that are proven to increase the number of lambs born to ewes. They’re all made by us. And we’ve developed them here in New Zealand, for New Zealand. So, if you’ve ever wondered why there are so many sheep in New Zealand, now you know our vaccines are part of the reason. Talk to your vet about MSD sheep performance vaccines. MADE FOR NEW ZEALAND. AVAILABLE ONLY UNDER VETERINARY AUTHORISATION. ACVM No’s: A4769, A9535, A7886, A9927. 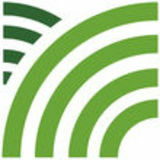 Schering-Plough Animal Health Ltd. Phone: 0800 800 543. www.msd-animal-health.co.nz NZ/SPV/1217/0010 © 2018 Intervet International B.V. All Rights Reserved. ve ul d uld . OUT NOW! A compelling story of unflinching loyalty and determination by Rural News reporter Peter Burke. Dan Lynch from Ovis Management was an expo attendee. WE TALK YOUR LANGUAGE! Communications experts WRITEHERERIGHTNOW know and understand NZ’s rural and agribusiness sector. With more than more than 25 years’ experience servicing the agribusiness and the rural sector we have provided specialist communications and public relations advice and services to a range of rural and agricultural clients across New Zealand. We are skilled communications professionals who are passionate about the agribusiness and rural sectors. WRITEHERERIGHTNOW are experts in communicating with rural and agribusiness audiences via newspaper and magazine columns, online, media releases, client newsletters and blogs. WRITEHERERIGHTNOW is experienced in managing media enquiries, interviews and providing media advice for companies and organisations. We can prepare and brief appropriate spokespeople on how to respond to and/or front media enquiries. WRITEHERERIGHTNOW prides itself on its relationship management with key business and political personnel, from chief executives and senior management, to chairmen of top companies, as well as mayors, councillors and MPs. With numerous contacts at both local and national government level, we’re also able to help with networking and relationship building. Keen to control the risk of Campylobacter? You’ve still got time, but it’s ticking... Remember, it’s not just maiden ewes at risk of campylobacteriosis. Your mixed age ewes are still at risk and need a booster shot of Campyvax4® every year. So when you’re thinking about vaccinating against abortion storms, be sure all your ewes are protected ahead of time, with Campyvax4. Order yours from your vet today. MADE FOR NEW ZEALAND. CONTROL THE RISK OF CAMPYLOBACTER AVAILABLE ONLY UNDER VETERINARY AUTHORISATION. ACVM No: A9535. Schering-Plough Animal Health Ltd. Phone: 0800 800 543. www.msd-animal-health.co.nz NZ/SPV/1217/0010a © 2018 Intervet International B.V. All Rights Reserved. December 2018 forecasts. It says the increase is being driven by a strong production season and another increase in dairy and meat prices. significant challenges the sector is facing, with dryness being experienced in many in rural areas -- especially the drought- affected top of the South Island -- fires in Tasman and the cattle disease Mycoplasma bovis.” O’Connor says this performance is even more impressive considering a more modest outlook for the global economic environment and high uncertainty generated by trade tensions. “Import demand from China continues to strengthen for most primary industry products, and exports to the US are still higher than historic levels,” he says. SECTOR OUTLOOKS DAIRY: - Dairy exports to rise 5.5% to $17.6b - 3.7% growth in milk production onfarm - Higher value products like cheese and infant formula to drive growth in export revenue. MEAT AND WOOL: - Meat and wool export revenue to increase by 6.0% to $10.1b (after a large 14.2% gain in 2018) - Strong demand helping to maintain high prices. FORESTRY: - Forestry exports to now increase by 7.0% to $6.8b due to stronger harvest volumes than previously - Demand is expected to remain steady over the next year, with an expected increase in Chinese residential construction despite the weakening Chinese economy. HORTICULTURE: - Horticulture exports now expected to rise only by 15.7% to $6.2b - Kiwifruit export revenue to rise 33% due to increases in volumes and prices - Wine and apple and pear export revenues are expected to increase by 3.9% and 11.5%, respectively. ARABLE: - Exports for the year ending June 2019 to fall 3.2% to $235 million - A positive long-term outlook for arable exports, with moderate price and volume growth. OTHER PRIMARY SECTORS: - Export revenue to increase to $2.8b, up 3.5% from 2018 - Innovative foods, ‘other’ products, sugar and confectionery products are growing faster than previously forecast. lamb is a great advantage. “Look at the US market, for example: I think there is a strong perception on the part of consumers that grass-fed for them as a consumer is better for their health; it is a healthier product and it is also for the animal and for the planet. It kind-of ticks all the boxes for US consumers. “We’ve seen double digit growth in dollar sales in the US market for the last 12 months for products that are marketed as grass fed -- a low double-digit rise of 11-12%. But that is against the background of just under 1% in total market growth. “You have huge growth in grass-fed relative to the total market growth in value sales of meat in the US market, for example.” The pasture system dominant in NZ is perceived to have an advantage in some of the markets this country exports to, he says. TECHNOLOGY OPTIONS are coming onto the market to assist farmers with sustainability, says Sherrard. “There is often a perception that it’s all well and good talking about sustainability but ‘what are we going to do?’ ” he explains. “There are things farmers can do. There are technology options coming into the market which can, for example, reduce methane emissions from cattle – whether dairy or beef cattle, it doesn’t matter.” Sherrard says there are feed additives proven to reduce methane emissions by 25% to, in some cases, 35% over an animal’s life cycle. “I appreciate there is a certain irony in talking up a pasture-based production system. “You have a feed additive which implies a barnbased production system, but there are options: in grass-fed there are solutions here in NZ; with methane there are solutions.” He refers to devices wearable by cattle and sheep that monitor their health and digestion and help to monitor methane emissions; these can also be used in virtual fencing to redirect cattle away from waterways, for example. “These technologies help to deal with the very expensive problem... where farmers are being asked to exclude stock from waterways.” These technologies are neither free nor easy, he says, “but they are there and once we start to focus on what we are trying to achieve, if we come together as an industry and look for integrated solutions we will find there are solutions out there”. NEW ZEALAND farmers are starting to struggle to find the certainty they want in their businesses in the face of sustainability issues. This is according to Rabobank’s global animal protein strategist Justin Sherrard who was recently in NZ. “They see changes being talked about, they hear about things that are going to happen onfarm in water quality, the inclusion of agriculture in the Emissions Trading Scheme, for example, and they are uncertain about that,” he says. But Sherrard told Rural News that farmers need to understand this is not just Government-led; it is also being led by the market. “While here in NZ you see the Government getting involved in these issues and wanting to improve outcomes; I also see the market moving,” he explains. YOY milk production growth for the first time since 2016, and Q2 production collectively looks set to end in negative territory as well. of 113,000 head or 6.8% YOY. Rabobank expects the average EU farmgate price to remain stable for the coming months with some upside as of the end of Q2 2019. US US MILK production rose by a modest 0.2% YOY in February 2019 after a surprising increase of 0.9% in January (see graph). against lower comparables. The US may not realize the full upside occurring in the international dairy market for months to come due to ample domestic supply coupled with trade challenges. With production expected to pick up slightly in 2019 and domestic demand coming under more pressure. The US will have a slight exportable surplus for 1H 2019. However, the exportable dairy surplus will be more difficult to move under current geopolitical conditions unless Mexico and China both remove current retaliatory tariffs. YOY) has more than replenished the very low inventory level at the end of 2018. The National Bureau of Statistics (NBS) has indicated that milk production in 2018 grew by 1.2% YOY, below our previous estimate of 2% and conflicting with the 2.9% based on the Ministry of Agriculture (MOA)’s milk production index. Rabobank has revised 2018 production growth toward NBS’ level of 1.2% YOY. For 2019, Rabobank is maintaining production growth of 1% YOY. The domestic milk price needs to be at least sustained at the current level in order to give incentives to producers to grow production. The dollar margin for milk production has somewhat improved (although not necessarily in percentage terms) compared with a year ago. Large farms are likely cautiously optimistic at the best, but this is not yet generating any strong signs of renewed investment in farm expansion. Rabobank maintains milk production growth of a slightly higher rate of 1.5% growth in 2020. Australia AUSTRALIAN MILK production has continued to tumble into the early months on 2019. National milk production was down 11% for the month of January. This brings season-to-date production to 5.7bn litres and represents a drop of 5.8% season-to-date. regions which have had better seasonal conditions than others. Rabobank is forecasting national milk production to finish the 2019/20 season down 8% at 8.6bn litres. Most prices for the 2018/19 season now sit above the Rabobank modelled commodity farmgate milk price of AU$ 5.75/kgMS. clear risk that New Zealand’s 2018/19 season finishes abruptly in the North Island with no meaningful rain evident across the final weeks of March 2019. Some farmers may choose to conserve feed and preserve cow condition prior to winter and call the season to a close early. Accordingly, Rabobank has moderated expectations for milk collections across the 2018/19 season, and now anticipate production growth of 3% YOY. HIRE, LEASE or BUY throughout New Zealand. Call a dealer near you today! The science is settled THE LATEST report from the Parliamentary Commissioner for the Environment Simon Upton makes interesting reading for the agricultural sector and its constant critics. Upton’s report marks a departure from widespread calls to drag agriculture into an expanded ‘all gases, all sectors’ version of the current Emissions Trading Scheme (ETS). Instead, he has proposed separate trading systems for fossil and biological emissions to help tackle climate change. This so-called ‘landscape approach’ would deal with agricultural greenhouse gases and forest sinks together – and separately from CO2. The agricultural sector has been calling for just such a change in policy makers’ views on methane and other carbon emissions. This has been backed, in the past 18 months or so, by numerous scientists supporting the setting of a separate methane target in the Zero Carbon Bill, to reduce and stabilise methane, while carbon dioxide and nitrous oxide reduce to net zero. This is aligned with work by the Productivity Commission, research by Dr Andy Reisinger of the New Zealand Greenhouse Gas Research Centre, and most recently by Professor Myles Allan, of Oxford University, a member of the Intergovernmental Panel on Climate Change (IPCC). Farming organisations are calling on the Government to take note of these new findings – which align with the latest and emerging science. “This work adds to the growing evidence base developed over the past few years about how methane -- a biological emission from animals -- differs from carbon dioxide in its impact on global warming,” adds DairyNZ chief executive Tim Mackle. Critics claim this alternative approach would be ‘letting farmers off the hook’. Although these same critics have always argued about the ‘science of climate change’, they seem to conveniently forget this when the science does not back their narrative. As BLNZ says, the PCE report shows a clear way forward for NZ on climate change and recommends a science-based approach, which fits with the principle of each sector being responsible for its own emissions -- and for tackling them. Ministers, policy makers and farming critics must take note: it is difficult to argue against the science. THE HOUND Hero or hypocrite? YOUR OLD mate was interested to see Trade Minister David Parker recently hailing the success of the revamped TPP trade deal. According to Parker, the deal is “already delivering benefits for New Zealand”. Benefits for the ag sector include a reduction in the tariff on our beef into Japan, an increase in NZ butter exports to Canada and a doubling of our cheese exports to Mexico – in the month after the agreement came into force in January 2018. This is all good stuff. However, the Hound wants to know if this David Parker now skiting about the success of the TPP is the same man who was marching in the streets in 2015 scare-mongering about the evils of the deal? While your old mate reckons it is good to see that Parker has had a change of heart, others might be less charitable and call him nothing but a hypocrite. A MATE of the Hound reckons the readers of the darling publication of left-wingers and liberals -- The Guardian newspaper -- should take its stories about farming and animal welfare with a large grain of salt. According to reports, The Open Philanthropy Project has given $886,600 over two years… “to theguardian.org to support journalism on factory farming and farm animal cruelty”. In awarding the grant, these benefactors claim… it “will allow The Guardian to increase its reporting output on issues related to factory farming” … The Guardian claims it will be … “an opportunity to increase the salience of farm animal welfare issues amongst influential journalists, policymakers, and business leaders”. Yeah, right. And if you believe that then this old mutt has a bridge he can sell you. WELL-KNOWN South Canterbury dairy farmer John Gregan questioned BLNZ chair, at last month’s annual meeting, Andrew Morrison about his organisation’s treatment of dairy farmers. “As a dairy farmer, I feel like the awkward flatmate,” Gregan told the meeting. “You are more than happy to take my rent money but would prefer I stayed in my room when you have friends around to visit.” Apparently the question got a good laugh from the meeting, lots of nods of approval from the dairy farmers in the room and reassurances from Morrison about BLNZ’s love of dairy farmers. Meanwhile, the Hound has it on good authority – from one of Gregan’s ex-flatmates – that his portrayal was a pretty fair description of how Gregan was viewed by his Lincoln College flatmates back in his university days. THE HOUND, like everyone else in New Zealand, was shocked and stunned by the senseless shootings in Christchurch last month. It has been heartening to see the country come together to condemn such an evil act of violence and show support for the victims and their families. Inevitably, there will now be a debate over gun laws and what type of guns people should be able to own. Hopefully without kneejerk reactions or any politicisation of the debate. Many people have already decided to quietly, voluntarily hand in their guns to the police; good on them. However, what we don’t need is public grandstanding or ‘look-at-me’ types – like a certain wannabe Green MP and toy farmer – telling all the world how good and virtuous he is by giving up his gun. It is not about you so get over yourself!! 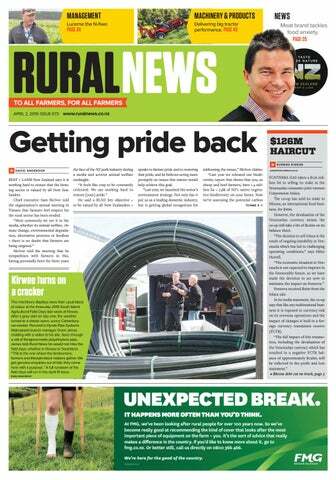 Rural News is published by Rural News Group Ltd. All editorial copy and photographs are subject to copyright and may not be reproduced without prior written permission of the publisher. Opinions or comments expressed within this publication are not necessarily those of staff, management or directors of Rural News Group Ltd.
Confusion over Fonterra’s motive for Motif investment IT IS hard to imagine what signal Fonterra thinks it is sending to shareholders with its investment in Motif, a company investigating synthetic milk ingredients. The new word for such ingredients is ‘complementary’, rather than ‘synthetic’, but the Motif investment is yet more money going offshore into a business not core to New Zealand farmers and with no immediate prospect of returns. This expenditure of an undisclosed sum for a stake in Motif coincides with ongoing concerns about Fonterra’s budget, the attempted selling of Tip Top and a downgrading in credit rating by Fitch from a ‘stable’ outlook on Fonterra’s ‘A’ long-term issuer default rating to ‘negative’. Fitch commented in early March that Fonterra’s “asset sale programme will be critical in getting debt under control”. The Motif investment was announced at the end of February. income. When it has gone up the chief executive has been rewarded with bonuses; but when it has gone down, bonuses have still been paid and shareholders have been told that the milk price is outside Fonterra’s control. In addition, statements have been made that some remuneration is attached to ‘added-value’ and that the strategy will pay dividends in the future. Fonterra has not declared the sum invested has not been declared, but it is known that it will not have a seat on the Motif board. None of these factors is likely to inspire the confidence that is needed. It is time for the board to build trust by involving shareholders, ensuring fairness in payouts and dividends, and increasing transparency in governance. Then the signals will be clear and positive. • Dr Jacqueline Rowarth CNZM CRSNZ HFNZIAHS is a Fonterra shareholder. Regulations don’t always resolve the underlying problem, and in this case it’s a mostly regional system which relies a lot on trust. StockX’s Jason Roebuck believes that technology presents an answer to better regulating and monitoring of the livestock and agency sector. able for the non-RPR fraction, and there is absolutely no requirement by Fertmark on the company selling it to say where it comes from. Need I say more? • Bert Quin is managing director of Quin Environmentals (NZ) Ltd, owner of fertiliser company Quinfert. TURNING PASTURE INTO PROFIT Five years after the conclusion of an intensive lime programme Chris Adams of Kopaki in the King Country region is still counting his blessings. The whole project started in 2010 after Chris had read an article about the benefits to pasture and stock when pH levels were increased up into the 6 plus range. At the time the levels on his 400 ha property were around 5.7. “In the beginning it was very much ‘toe in the water’ stuff” said Chris. “Also, although we were focusing on our bulls, most of the data available at that time only referenced lamb and ewe responses to lime trials”. Chris started off spreading an 80ha section of the farm at a low rate 500kg/ha. As he recollects, part of the block was ground-spread and the other by plane. “Then in the 2nd year we decided to get serious and go the whole hog”. Going the whole hog saw Chris aerial spreading an additional 200 ha at a rate of 4 tonnes/ha. Then in the following year he covered the remainder of the property at the same 4-tonne/ha rate. Throughout the 3-year period he also kept an un-limed control block on the property. “As I recall one of the early changes that we noticed was in the colour of the pasture which was greener than the control block. We also started to notice that the pasture in the limed blocks has been grazed much more evenly – right out to the fence lines - and an increase in clover content”. LIME TRIAL STOCK PERFORMANCE/HA - Limed 2 years Stocking: 2.2 bulls/ha. All were drafted. Killed out at 285kg/head to give 627kg/ha. Soil Scientist Paddy Shannon of Shannon Agricultural Consulting commented on the stock preference for limed over un-limed pasture. “The grazing responses observed on Chris’s property are consistent with those from a number of other studies and suggest that stock find limed pasture to be more palatable than the un-limed alternative. It also suggests that stock in these limed blocks are increasing their dry matter consumption and this delivers obvious benefits for farmers”. The third and final year of the trial coincided with the indication of a dry patch on the horizon and pH levels reaching 6.2. Chris made the decision to send his bulls off earlier than he usually would, and at this time, perhaps the most significant benefit of the liming programme, became apparent. As shown in the following figures, the total killed-out kg/ha of stock from the limed 2 years trial block was almost double that of the un-limed control block. Stocking: 2.0 bulls/ha. 90% were drafted. Killed out at 270kg/head to give 486kg/ha. Stocking: 2.2 bulls/ha. 60% were drafted. Killed out at 265kg/head to give 318kg/ha. Stock available talk to your usual contractor today. Freephone 0800 245 463 or visit www.onlime.co.nz for further information. *Links to relevant research available on our website. Harnessing better feed and genetic performance RAM HARNESSES are a useful tool for feed allocation, and they can also help identify unmated hoggets that will then have higher lifetime performance. In a recent Beef + Lamb New Zealand podcast, Massey University’s Dr Paul Kenyon describes how ram harnesses can be used to identify ewe lambs that ovulate early in flocks where hogget lambing is not practised. Studies have shown that these early-cycling animals will be more fertile and fecund during their lifetime. “There is a genetic link there,” he says. In a bid to increase the productivity of their ewe flocks, some farmers are keeping back more ewe lambs than they need as replacements, then running a harnessed teaser (vasectomised) ram with them in late April and May. The marked lambs are retained as replacements as these are likely to be the most fertile as adult ewes. “It’s an early screening tool and it works,” Kenyon explains. use of ram harnesses gave surprising results: 93% of the ewes were mated in their first cycle and so could be put straight back onto maintenance feed with a follow-up ram. “It’s phenomenal how much feed we have saved for the price of a ram harness and crayon,” says Dan Hodgen. can be set-stocked later which again allows more strategising of feed resources. Hodgen says foetal aging at scanning provides this same information, but it is slightly more expensive and doesn’t allow for feed management over mating. He says the downside of ram harnesses is the work involved in changing crayons and, on properties with a lot of scrub, there is always a danger of the harnessed ram getting caught up, or losing crayons On larger, extensive properties with many rams the logistics of finding rams and changing crayons can make them a less impractical option. Where the focus is on determining when rather than whether the ewes have been mated, Hodgen suggests not putting the harnesses on until 10 – 17 days into mating. This reduces the workload and means unmarked ewes will be early lambing or are dry. ZIMMATIC AND GROWSMART ARE REGISTERED TRADEMARK OF THE LINDSAY CORPORATION. © 2019 LINDSAY. ALL RIGHTS RESERVED. gen is without question the nutrient that is limiting pasture production all the time.” Moot said 20 tonnes of dry matter would be about 3.5% nitrogen, so 700kg of nitrogen would be required to produce it. “You can’t change that, it’s biology” he said. Moot said New Zealand generally provides phosphorus and sulphur “pretty well”, but nitrogen is limiting pasture production, as proven by urine patches. There would not be a urine patch response in a pasture if the pasture was not nitrogendeficient. Moot said his researchers had produced 6.5t DM/ha from a dryland pasture and 10t when fully irrigated. But the pasture produced 20t DM when given both water and nitrogen, and 16t when given just nitrogen. That showed that the added water wasn’t utilised efficiently without nitrogen. GROW IT, GRAZE IT MOOT OUTLINED the specifics of using lucerne in a grazing system. He showed how lucerne consists of softer palatable tops containing about 12 ME and 24 crude protein and a harder lower stem of about 8 and 14, which animals do not want to eat. He says the ideal height of lucerne – to get grazing animals to eat as much as possible – is 25-30 cm. Growing it any longer only adds to the hard stem, not the useful tops. When used in a spring rotation, however, Moot recommends starting grazing the first paddock at about 10cm tall because starting at 25-30cm would mean the last paddock would be too tall. “What I’m trying to do is look at paddock one so that the second time I come onto it it’s about 25-30cm tall,” he explained. “If the last paddock gets away cut it for hay or silage. Don’t graze it because the animals will take quite a long time – 10 or 14 days -- to eat the useful part instead of two to three.” He says it would be a mistake to think there’s another day in a break when the animals have eaten the tops. “The problem with that is they don’t eat anything for a day because they’ve got this thick stem they don’t want to eat,” Moot explained. “Then they’re empty and you shift them onto a new break and they gorge. And if they gorge then you run the risk of animal health issues.” He says ewes and lambs provide the best benefit out of lucerne. With the ewes milking well and lambs putting on 300-350g/day a farmer could wean early, put the ewes elsewhere and leave the lambs on the lucerne with their guts already used to it, so there is no check to their growth. “The lamb will happily grow 300g/head/day, so in 100 days it can go from a 5kg birthweight to a 35kg lamb now available to be sold,” Moot added. LOWER FIRE RISK COPLAND FARMS on the land he grew up on, settled by his grandfather in the early 1900s. It was run as a dryland sheep farm until bore irrigation went in 15 years ago. The family is also well-known for breeding and showing Border Leicester sheep and the farm is carrying 2500 breeding ewes. They also grow barley and peas for seed, share-farmed process potatoes and some fodder beet for wintering. Last year Copland wintered 1170 beef cattle, 600 r2s and the rest R1s. About 250 18-month-old animals left over from last winter will soon go to the works and he has just started buying R2s for this winter. Maximise production by ensuring your herd are getting a high quality Partial Mix Ration (PMR). *Normal lending criteria & conditions apply. While stocks last. Offer for a limited time only. monia on growth rate. Lung lesions were assessed monthly at slaughter in 40 randomly selected lambs per farm. In the second study (2000-01), a database of 1719 farms in Canterbury, Manawatu and Gisborne were analysed to see if farm location or within-flock were more important in predisposing sheep to pneumonia. The third ‘case control’ study looked at the links between farm management and pneumonia. The fourth study tested the efficacy of the pneumonia vaccine Ovipast Plus in preventing adverse subclinical effects using 9174 lambs in the North Island. Mortality was not assessed in this trial. The final study estimated the economic cost of pneumonia and pleurisy. COSTLY COUGHS IN A mob of 500 lambs affected by pneumonia there would be two key costs. It would cost an extra $977 of feed to grow lambs from 30 to 37 kg LW, plus an additional loss of $2920 due to lamb carcases downgraded for pleurisy (based on an average $6.63/kg schedule). Instead of all lambs growing at 150g/day, 9% would be growing at only 75g/ day. Consequently, on average they would take 56 days to reach target weight instead of 47 days. In this time, they would eat an additional 6200kg of DM. was affected. Usually more than 20% of the mob becomes affected	The second study showed that the prevalence of lambs with chronic non-progressive pneumonia ranged from 0% to 100% per flock. On average, flocks had 24% of lambs affected. The number of flocks with some pneumonia present in the surveyed flocks ranged from 40% to 71%. you may have an average score of 5.0 [you may feel] like a hero, but if there’s a whole group of cows [about] BCS 3.0 it is still a disaster. “What you want is a nice tight spread, and a better target is to have no more than 15% of the cows being too light. This would be better than that an average score of 5.0; on average that’s the middle cow score so you would have half the mob below the score and the other half above and it’s not all that flash. work out its BCS. “Don’t just look at the ribs or the bums but scan the top of the cow and get a better average score,” she said. She emphasised that the BCS among first or second calvers should be 5.5 as they are “low in the pecking order and most vulnerable”. Vet Danielle Hawkins assesses the BSC of cows at the SMASH field day at Te Awamutu in mid March. SUPPORTERS OF THE LOCAL FARMERS AND VETS OF NEW ZEALAND Trust Boehringer Ingelheim products this season for results you can be proud of and you’ll score a Degree polo* to show your pride for your region too. *QUALIFYING PRODUCTS: ARREST® C Calf Pack (ARREST® C 5L + ECLIPSE® Pour-On 2.5L + 30mL gun w/ 2 nozzles), ECLIPSE® Pour-On 2.5L or 5L, ECLIPSE® E Injection 500mL, ECLIPSE® E Injection with B12 + Se 500mL or 3L (6 x 500mL), EPRINEX® Pour-On 5L, EXODUS® Pour-On 5L, GENESIS® Injection B12 + Se 500mL, GENESIS® Pour-On 10L, GENESIS® Ultra Pour-On 5L, IVOMEC® Plus Injection 500mL, MATRIX® C Hi-Mineral 10L or 20L, SWITCH® C Hi-Mineral 10L or 20L, SWITCH® Fluke10 5L or 10L. *WHILE STOCKS LAST. ACTUAL DESIGN SUBJECT TO AVAILABLITIY. PROMOTION ENDS 26/04/19. Boehringer Ingelheim Animal Health New Zealand Limited. Level 3, 2 Osterley Way, Manukau, Auckland, New Zealand | ARREST®, ECLIPSE®, EPRINEX®, EXODUS®, GENESIS®, IVOMEC®, MATRIX® & SWITCH® are registered trademarks of the Boehringer Ingelheim Group. Registered pursuant to the ACVM Act. 1997 | No’s. A7290, A9270, A10640, A11151, A7191, A10222, A9888, A7353, A9222, A6481, A10131, A10274, A11138 | ©Copyright 2018 Boehringer Ingelheim Animal Health NZ Ltd. All rights reserved. NZ-19-BAH-001. The Mercedes V6 ute X350’s driving experience is a combination of power and smooth delivery. there yet?’ enquiries. The front seating is a well-upholstered pew offering plenty of support and lots of adjustment, with plenty of room in the rear for children and adults. Leather trim adds to the experience if you’ve ticked the options box, with an overall cabin experience that can only impress with its overall fit and finish. Depending on the trim level – or the option boxes ticked – there’s Thermotronic automated climate control, keyless entry, running boards, sports mouldings on the rear well-deck and a choice of alloy wheels. World’s most powerful variable speed clipper is here! THE STICKER MAY SAY GILTRAP. The solid design and tough build of Giltrap bale feeders mean you’ll go thousands of bales without a hitch. Get total feed control and ensure nothing is wasted. Single and double models available that handle all types of round bales, there’s a solution to meet every farm and every workload. The Enviro ATD30 is a heavyduty, triple disc drill with a pneumatic delivery system. Heavy duty full width headstock for extra strength and fantastic protection. A NEVER ENDING DESIRE FOR PERFECTION GIVES YOU A BALE FEEDER THAT GOES THE DISTANCE. Read us until the cows come home! of 115mm (27 runs) or 125mm (25 runs) metre row spacing and the option of 150mm in the future. Larger machines of 4.5 and 6.0m working width will be added to the range soon. For more information visit giltrapag.co.nz or call us on 0800 804 458. HEADER Ferist et quati aut pedici te vollab imod quamet atur soleniet quiatibu. Stainless steel floor so it won’t rust or be affected by UV light. Fully enclosed drive shafts. No wrapping points. Ability to back in and drive from either end. Simple to use stainless steel chain adjusters. MF’s newly announced GC1700 Series sub-compact range will feature similar styling to the larger tractors under the Massey Ferguson banner. operation and less arm movement for the user. A safety lockout lever prevents the operator from bumping the joystick or operating the hydraulics when in the locked position. A loader quick-attach design allows the operator to easily remove each attachment as necessary. An optional frontloader is tailored for high performance, and an optional 54” mowing deck cuts finely. The MF GC 1725M model can also be fitted with a quick-attach, selfstanding backhoe whose boom float feature makes it easy to position the bucket to, say, create an even floor bed in a cut or grade smoothly when backfilling. RECORD SALES ActiveMow The latest ActiveMow from Krone includes a host of innovative ideas a n d r e f i n e m e n t s , g i v e s r e l i a b i l i t y, e f f i c i e n c y, c l e a n c u t s a n d e v e n saves space in storage! New heavy duty headstock. * Te r m s , c o n d i t i o n s & lending criteria a p p l y.
Wo r k i n g w i d t h f r o m 2 m t o 3 . 6 m .
Low maintenance, high quality and dependable. Produce exceptional results with the Krone r a n g e o f m a c h i n e r y. GLOBAL AG machinery maker Claas has reported a 3.4% increase in sales to a record 3.89 billion euros (NZ$6.47b). Its results improved in the core markets Germany, France, UK and North America, offset by lower revenue in Eastern Europe and China. Operating profit before tax increased 22.8% to 226m euros (NZ$442m). It spent 233 million euros (NZ$387m) – equivalent to 6% of its turnover – on R&D during the year. Started in 1913, the family-owned company employs 11,000 people worldwide. During the year it modernised its tractor plant line in Le Mans, France, expanded its parts storage and distribution centre at Hamm, Germany and built new distribution centres in the UK and France. In Germany, the Krone Group’s agricultural machinery division in the 2017-2018 financial year had turnover of €642.3m -- up 10.2% on 2016-17. The home market accounted for 30% of sales, and it enjoyed growth in western Europe (+2%), eastern Europe (+1.5%), north America 11.9% and all other countries 12.0%. Total group turnover for 2017-2018 rose to a record €2.1b. Krone says it spent €67m improving its factories and products, mostly in the commercial trailer division, e.g. a new €40m cathodic dip-painting and powder-coating facility for trailer chassis and semi-trailers at the Werlte site. ogy, the AFS Vector Pro receiver will be integrated into the cabin roof. It will allow dealer service technicians to remotely look at tractor systems and parameters to diagnose faults before visiting the farm. Likewise, technicians will be able to update tractor software without needing to visit. The latest Case Magnum alongside its New Holland sibling made brief appearances at the World Ag Expo and The National Farm Machinery Shows in the US recently. • All new heavy-duty four cylinder tractor range • Industry leading 120 L/min CCLS hydraulic system • Front and cab suspension provides a premium driving experience • 60x60 transmission with 17 core gears across key working speeds ensures you’re always in the right gear for the application • Long wheel base and true 4WD braking gives excellent stability and traction • Electronic remotes – flow and time control for ease of use when working Be the first to see this innovative new tractor by calling your local Power Farming dealership today to book your demo. Be as impressed as we are and see for yourself why this tractor is set to change the heavy-duty 4-cylinder tractor market. * Terms, conditions and normal lending criteria apply. ** Limited selection of loader options, contact your local dealership. Proven beyo nd do ubt! Culvert Pipes New Zealand’s CHEAPEST Culvert Pipes! FREE joiners supplied on request. 300mm x 6 metre ................................ $410 400mm x 6 metre ................................ $515 500mm x 6 metre ................................ $690 600mm x 6 metre ................................ $925 800mm x 6 metre .............................. $1399 1000mm x 6 metre ............................ $2175 1200mm x 6 metre ............................ $3475 ALL PRICES INCLUDE G.S.T. very healthy, with the national dish fish amok, a sublime creamy fish curry steamed in banana leaves, a must taste experience. Fresh herbs and spices, together with dried fish and noodles form the signature of this delicious cuisine. Vietnamese culture is an eclectic mix of Chinese, Japanese, French, and American colonial influences, which makes for a very lively and colourful people, who have as their core values: humanity, community, harmony, and family. It is a rich, vibrant culture with many festivals and unique customs. Cambodia is old; inhabited as early as 4,000BC. It is so old, laser technology has only recently discovered several cities up to 1,400 years old buried beneath tropical forests. JACKET Sizing for these is the same as NZ WORKboot sizing (not NZ gumboot sizing). Available in sizes 7-12. Together, we’re working to help you optimise value from the land and reduce environmental impact. For the fourth year running, your co-operative is returning an early interim cash rebate. Giving you the confidence to responsibly apply nutrients, for the benefit of your farming business. Call the Customer Centre or speak with your agri manager. *Paid early June on eligible solid NPKS fertiliser dispatched between 01/06/18 and 31/05/19. Terms of Trade apply.